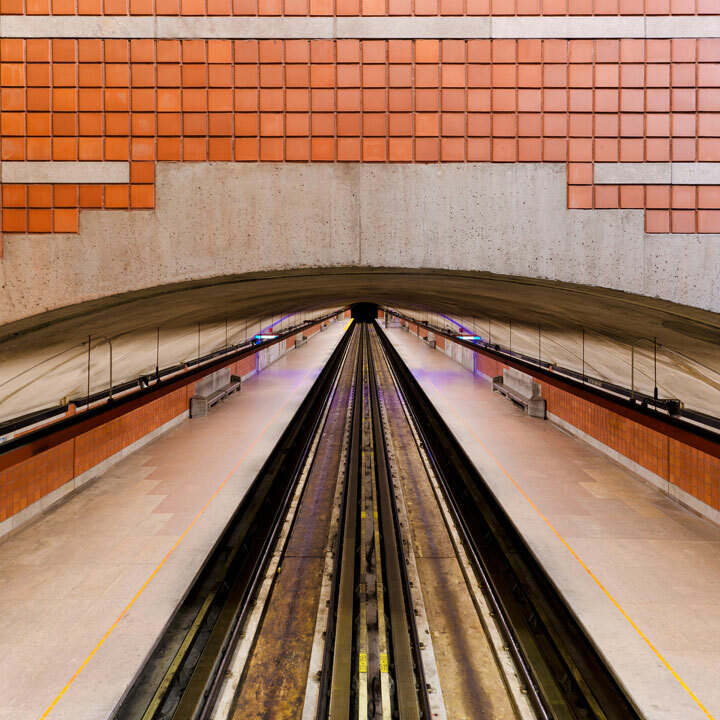 Embark on a unique journey through these beautiful photographs to explore the underground metro of Montreal. 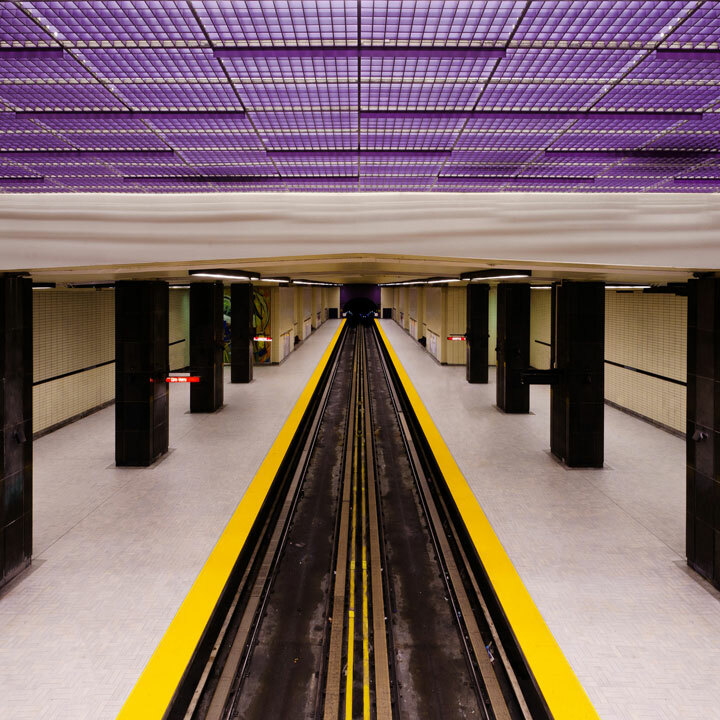 Breathtaking isn’t it? 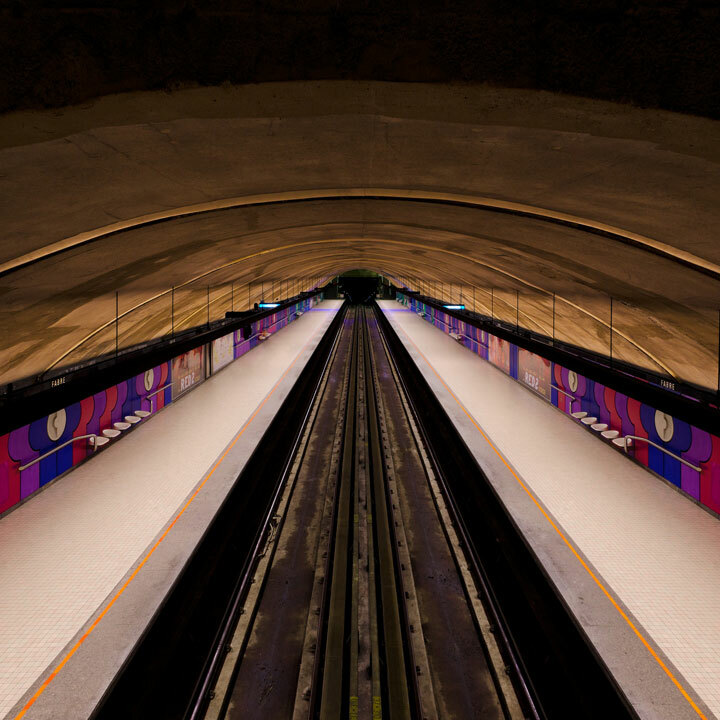 Chamelat Alexandre is a young French photographer living in Toulouse . 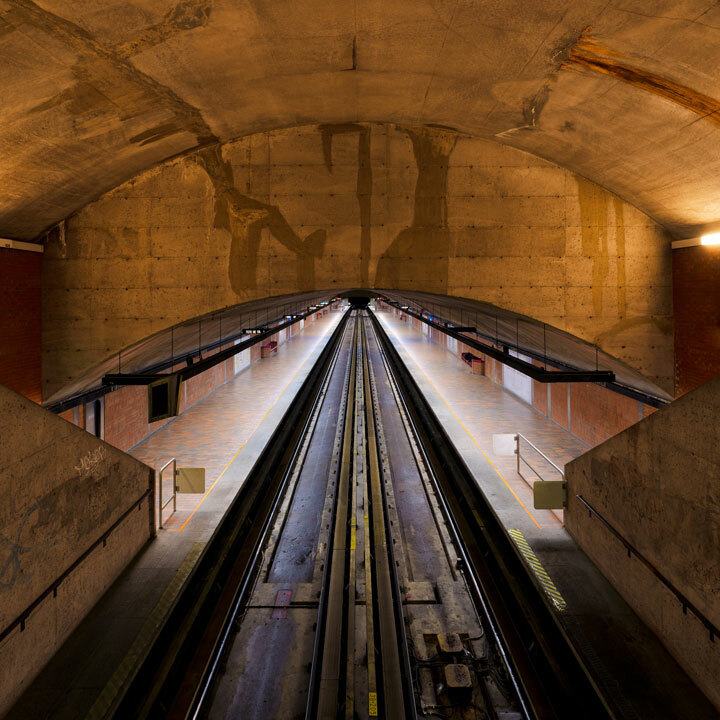 He studied photography at ETPA Toulouse . 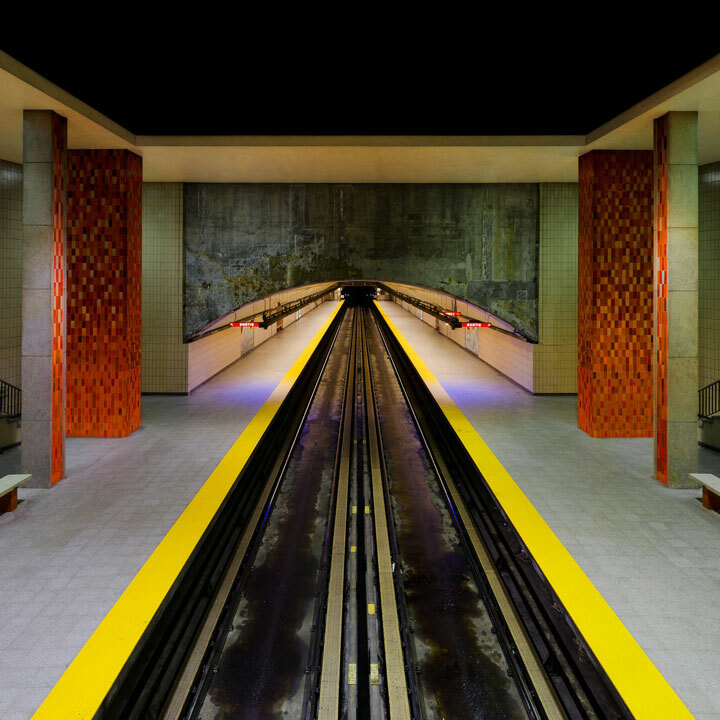 He has captured a series of striking photographs that show us the Metro Montreal as you would have never seen before. 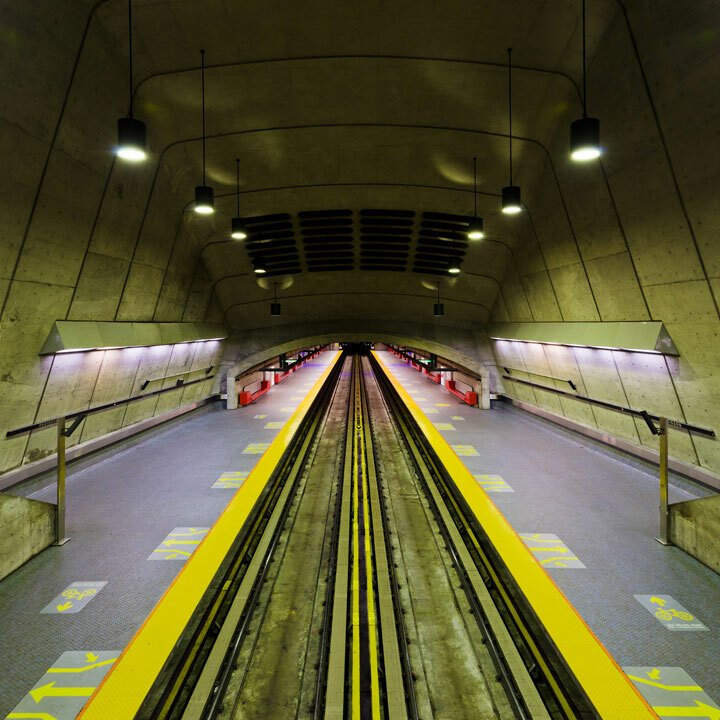 All these photographs have been taken in the same way: over the railway line and in front of the tunnel. 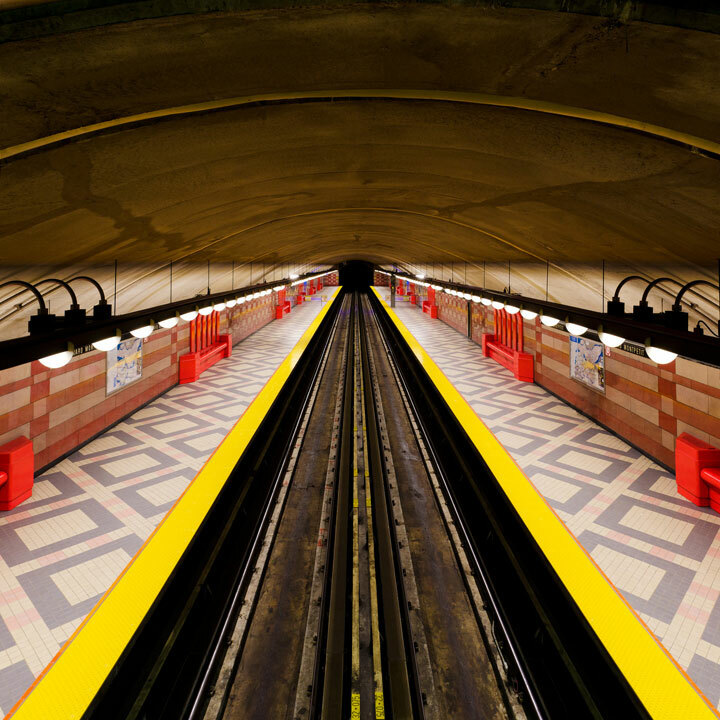 A journey through the maze of Montreal underground. 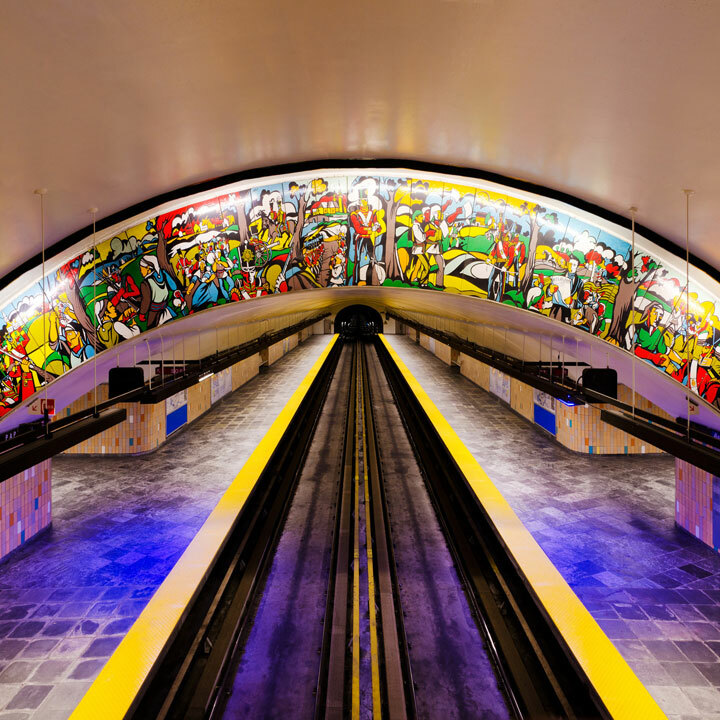 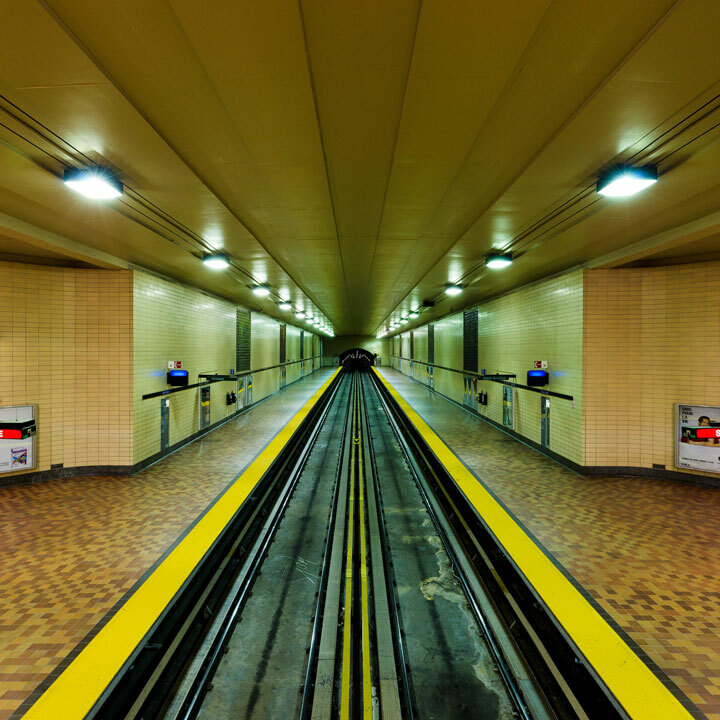 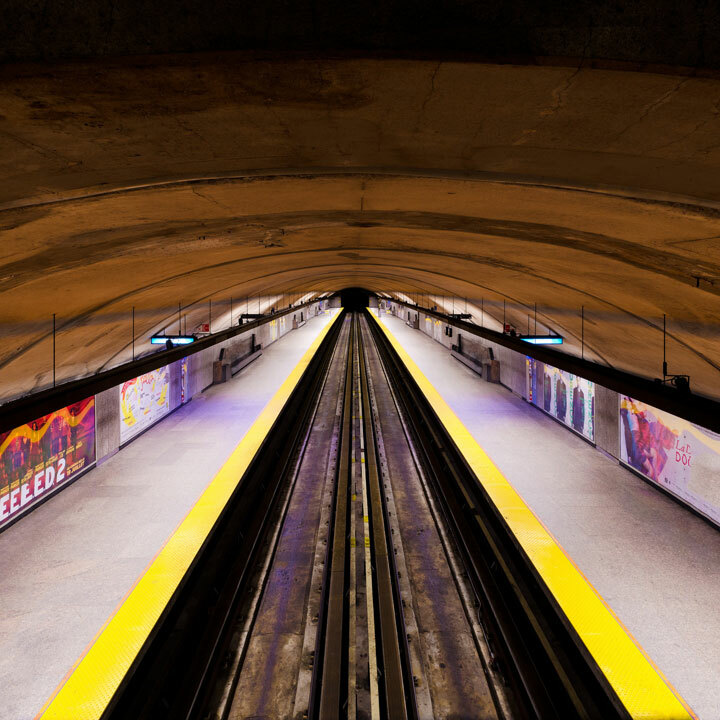 These photographs make us eager to discover at firsthand the Montreal Metro and its amazing artworks! 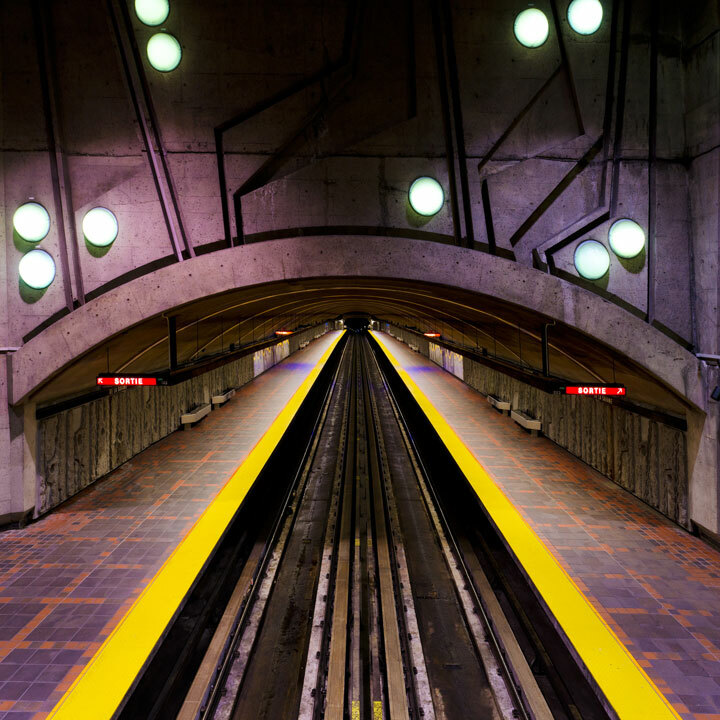 Would you also like to discover Montreal Metro ;)? 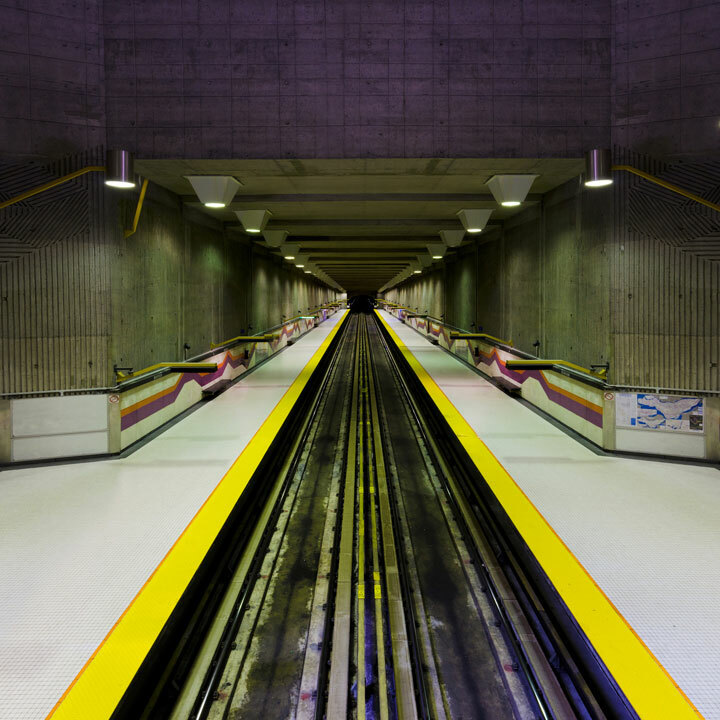 If you liked this article, you may also like Discover The Wonderful New Metro Station In Naples and Metro Stations Of Stockholm: The Most Beautiful And Original.